Midges clung to the perspiring face of Emilie Forsberg as she caught her breath. Forsberg – an extraordinarily talented Swedish ultrarunner and girlfriend of the equally extraordinarily talented Kilian Jornet – had spent the previous eight hours running across towering summits and precipitous ridges in the Highlands as skyrunning came to Scotland for the first time. ‘How was it?’ I asked. 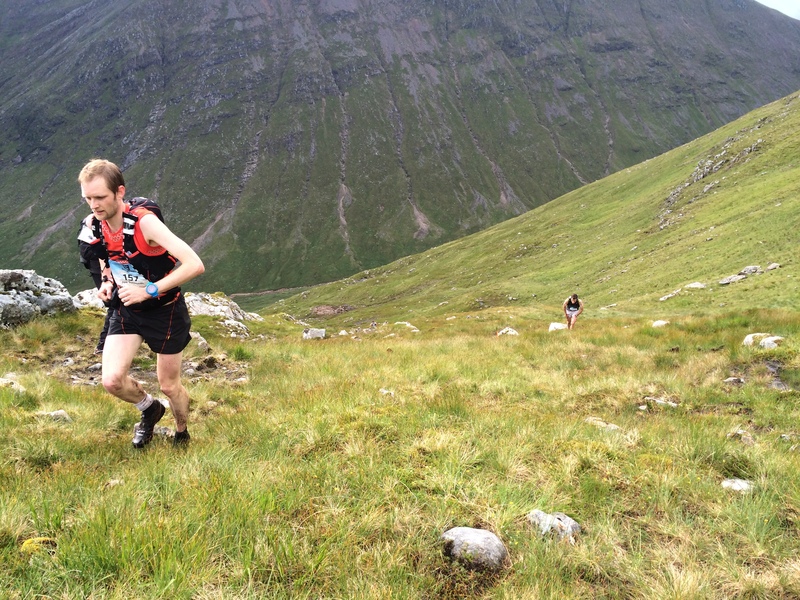 ‘It’ being the inaugural Glen Coe Skyline race, the Scottish leg of the 2015 Skyrunning UK National Series. She smiled. ‘I am so happy,’ she said. ‘That was so cool. Pure mountains.’ Forsberg was impossibly enthusiastic. Even the midges seemed to leave her unflustered. The statistics – 53km of running with a cumulative ascent and descent of 4300 metres – do not even scratch the surface of the whole story. 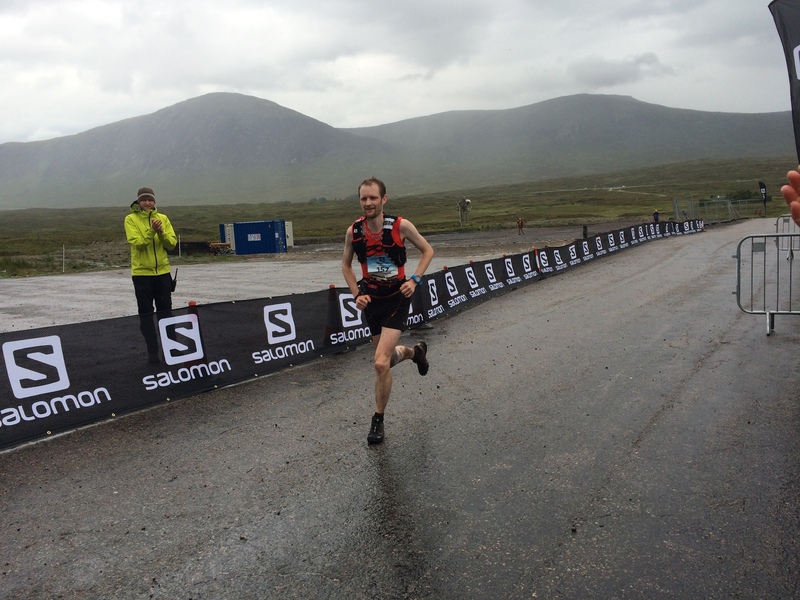 I had climbed to the col on Buachaille Etive Beag to watch the procession of leading runners. Across the glen was Buachaille Etive Mor, a 1021-metre colossus, which runners had gained via the Grade III scrambling route of Curved Ridge. I strained my eyes until I eventually spotted a minuscule stick figure on the distant ridge: a runner moving steadily across boulders. Soon there were dozens of them. The stick men and women were dwarfed by the immensity of the world they had entered. It was one of the most beautiful things I had ever seen. Soon they were climbing what I had ascended to gain the col: some 500 metres of largely pathless, sodden and unrelentingly steep mountainside. They swept by. ‘That’s a bad climb done,’ I said to Es Tressider, the pre-race favourite. ‘There’s worse to come,’ he announced grimly. There was. 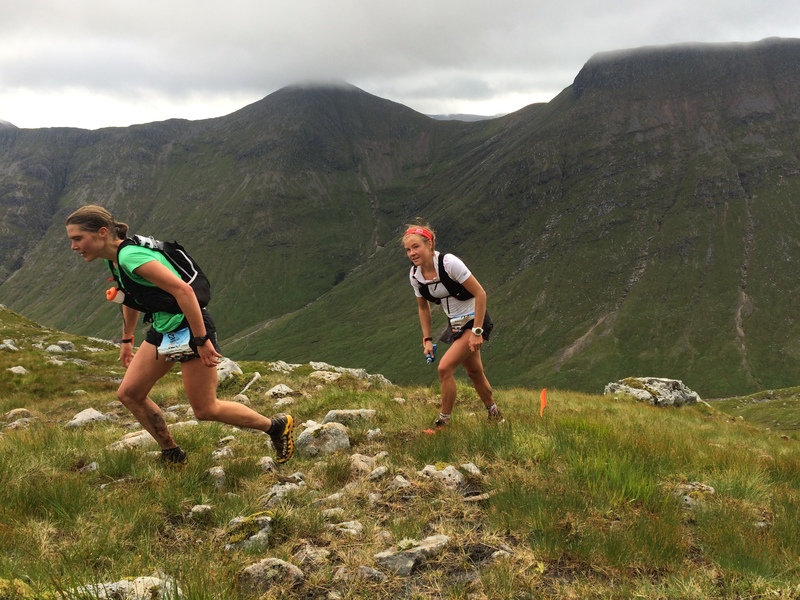 Runners were sent skywards to Stob Coire Sgreamhach, anglicised to the peak of the dreadful corrie and the second of five Munros (Scottish mountains in excess of 914 metres) they would climb. I marched alongside them for some time, first to Stob Coire Sgreamhach, then into the mist on Bidean nam Bian, the highest point of the day at 1150 metres. They paraded in resolute silence, steadily moving uphill – running occasionally but ceaselessly defying gravity. What goes up must come down – and up again. 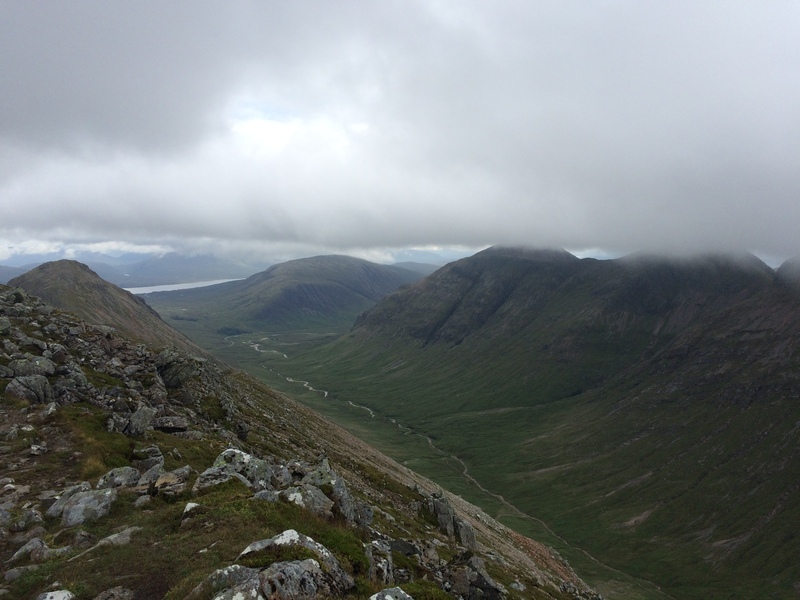 After plunging into Glen Coe and rising to a fourth Munro – gained by climbing 900 vertical metres in one mile – runners began the traverse of Aonach Eagach, a Grade II scrambling ridge that is typically preceded by the adjective ‘legendary’. Shane Ohly, the race director, would later admit he was ‘relaxed’, nonetheless. ‘After sending almost 150 runners off on this world-class course,’ he wrote in the aftermath of the race, ‘how come I am so relaxed? Because I have plans for almost everything and my plans have been critiqued by the right kind of experts. Because I am supported by an incredible team of volunteers and most of the UK’s leading adventure sport event experts. As an expectant crowd waited among the midges for the runners to return to the start/finish at Glencoe Mountain, the talk was of Forsberg. The Swede was less than 10 minutes behind Symonds. Could she catch him? Did Symonds know Forsberg was coming? As eyes peered down the winding road, a runner finally came into view. It was Symonds, his lonely exile as the long-distance mountain runner nearing conclusion. Forsberg was nowhere to be seen; she would cross the line eight minutes adrift. A further 120 competitors – another 26 were either timed out or dropped out – would finish. Spare a thought for number 122: Sue Savege, who finished in in near darkness in 13 hours and 52 minutes – more than six hours behind Symonds. Yet Symonds and Savage and everyone in between were bonded by the realisation that they had completed one of the toughest and most punishing undertakings on offer for runners in Britain. This article was first published in Men’s Running magazine.